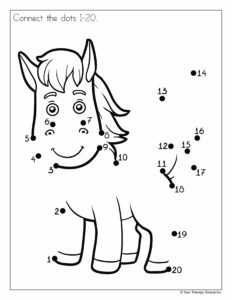 Connect the Dot activities are great fun for children the only problem is sometimes they can just be way TOO hard! 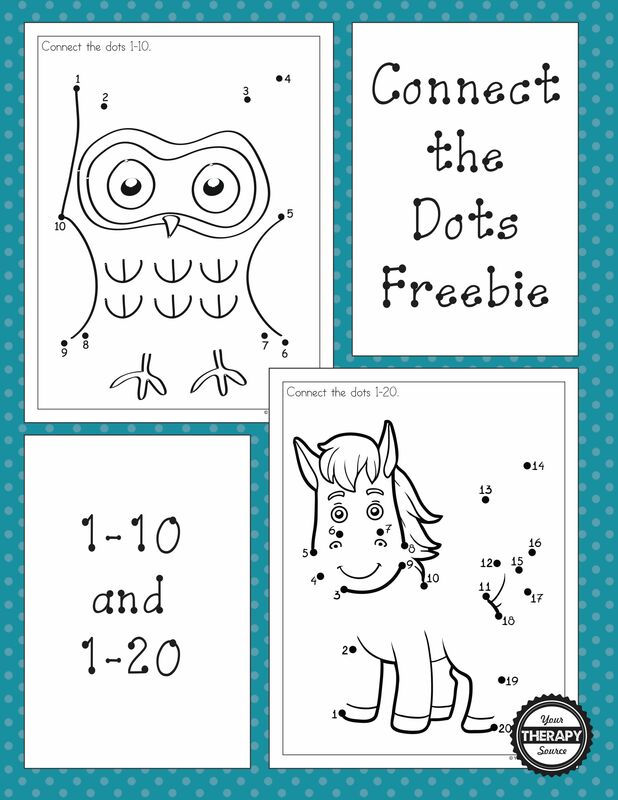 Here are two free dot to dots from the latest download, Connect the Dots. 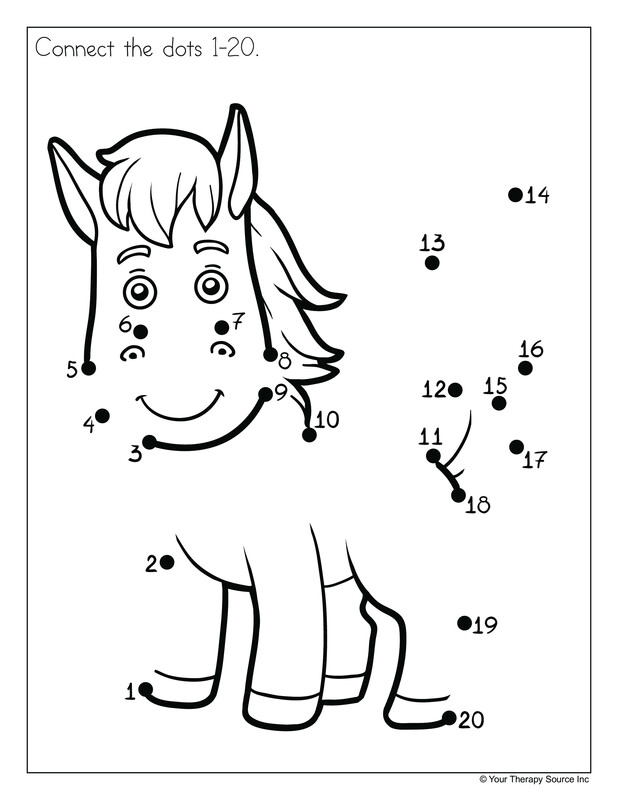 There is an owl dot to dot with numbers 1-10 and a pony dot to dot with numbers 1 -20. 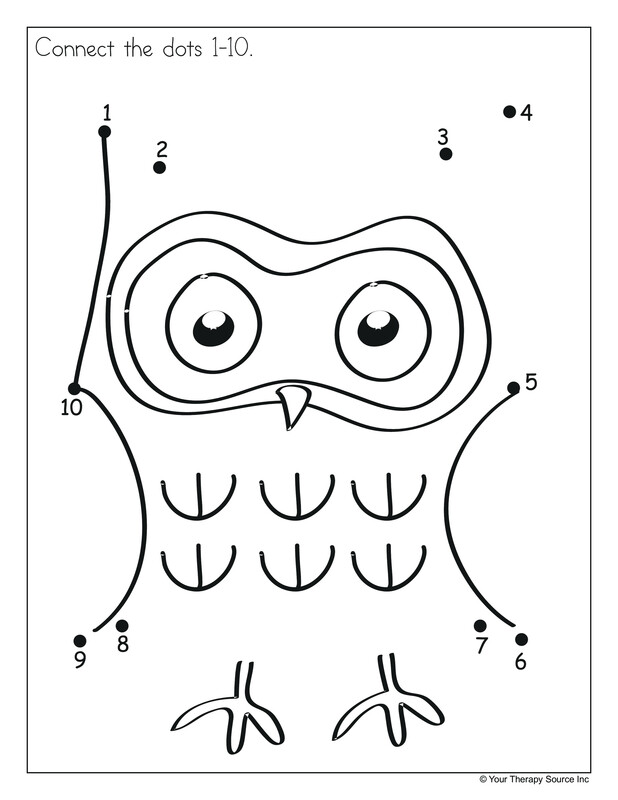 Download the two free Connect the Dot puzzles here. 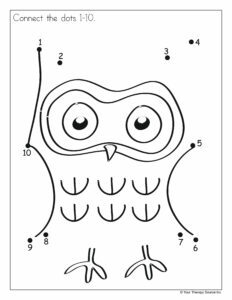 The complete Connect the Dots download includes over 60 black and white, reproducible dot to dot puzzles progressively ranging from easy to more difficult to encourage visual motor, figure ground and visual closure skills. 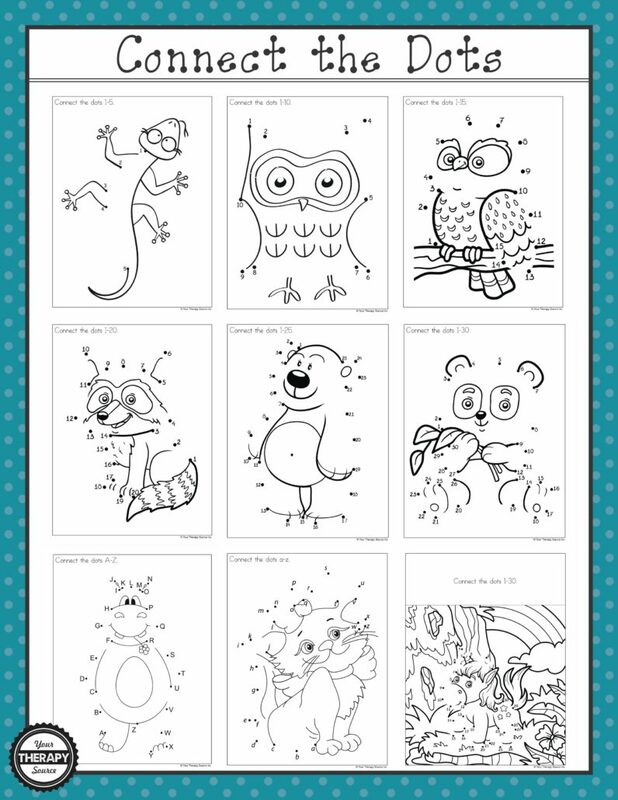 This download includes dot to dots 1-5, 1-10, 1-15, 1-20, 1-25, 1-30, A to Z, a to z and dot to dots in a picture. GET MORE INFORMATION.